According to the Western Christian Church, Saint Sylvester served as Pope until Dec 31, 335 - when he died and was buried in Rome. Since then, a number of Road Races have arisen to commemorate his death in different parts of the world. The most famous of them is Sao Paulo's Corrida de São Silvestre (15K), which had over 30 thousand runners this year. Spain holds a number of running "SanSilvestres", from marathon to smaller distances, in cities like Madrid, Valencia and Las Palmas. Following this tradition and given the increasing number of open water swimmers, public and private institutions have started to offer "SwimSilvestres" too. This year, as many as 12 races were offered in rivers and lakes across all Spain, ranging from 0.1K to 2.5K. I took part in the 1.5K SwimSilvestre Galdar, held in the North of Gran Canaria for over 150 swimmers. Conditions were excellent with air temp at 22C and water temp at 18C. Most swimmers still chose to wear wetsuits and neoprene swim caps, which I don't fully understand. Race was fast, with a group of four or so (wetsuit) swimmers finishing in under 20 minutes. I finished right after them as the first skin swimmer in exactly 20 minutes. It felt good throughout, although a bit short given the distance I had last faced in Acapulco (22K). What is really remarkable is the number of practitioners that OWS has gained over the last few years. The last time I competed in the open waters in Spain was 17 years ago (!!) 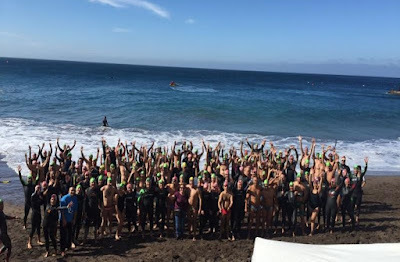 and we were barely 20 swimmers for the annual 5K, including world champion David Meca. 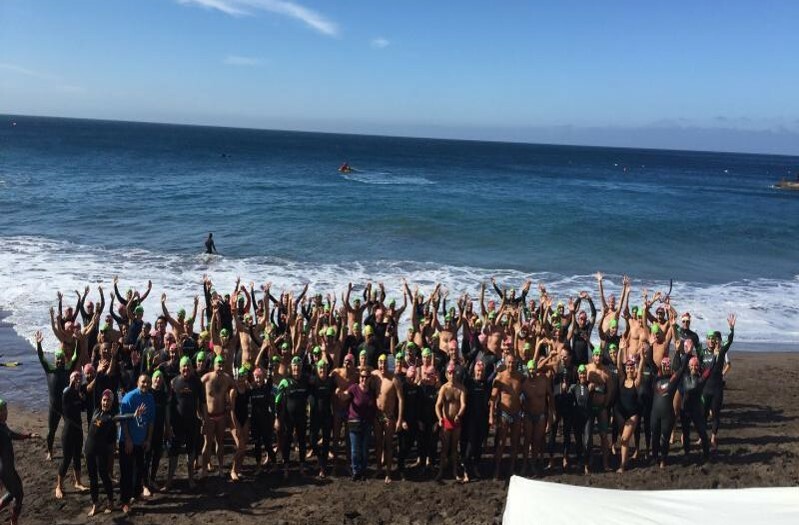 This year's SwimSilvestre put together over 150 of us, including former pool swimmers and new athletes that have been hooked into the sport. The vibe was very healthy and friendly, and I loved been around all of them again.